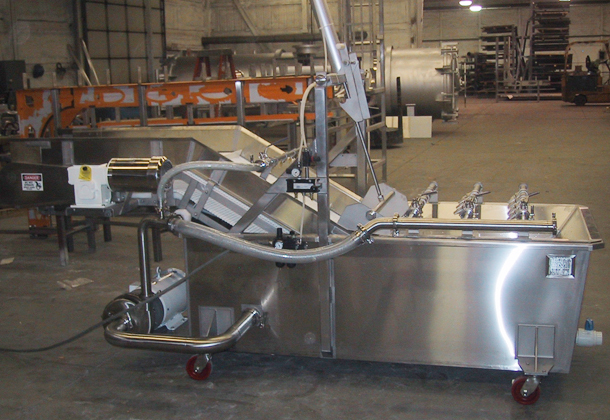 CMI’s Dip Tank Conveyors are designed for products that require sensitive handling and/ or several submersion treatments. 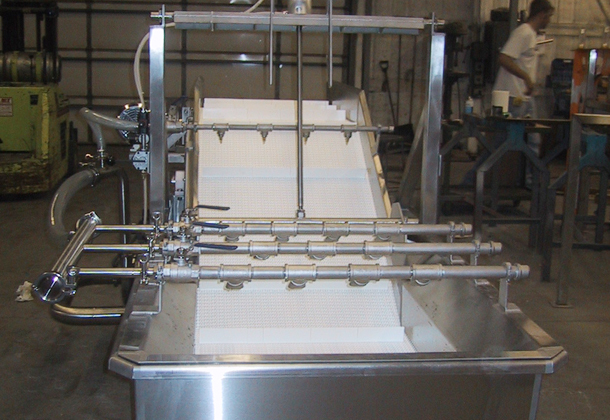 Our dip tank conveyor will gently pick up and carry the product to the next operation while draining off excess moisture. 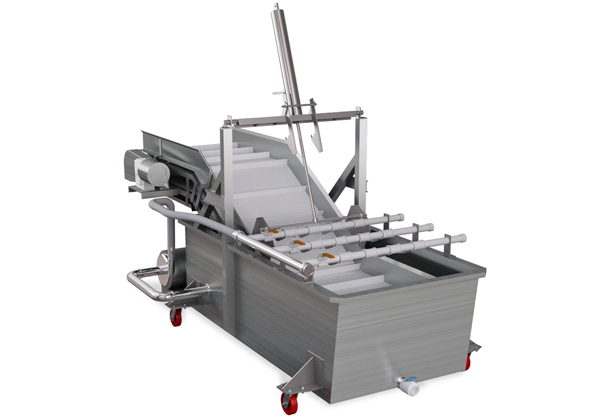 The conveyors can be designed for use in a series, transporting product from one wash directly into another. 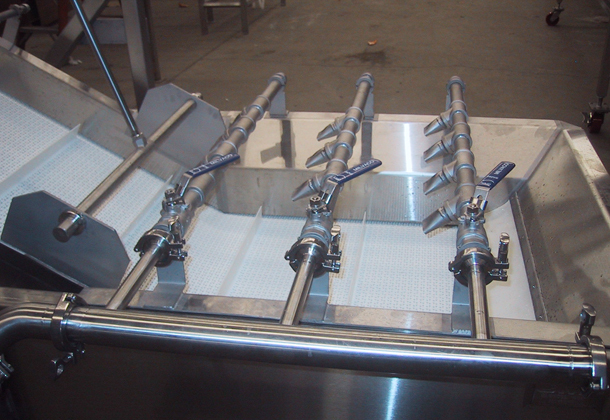 Your production line will be at its best when our dip tank conveyors are paired with our plate chillers or chill tanks. 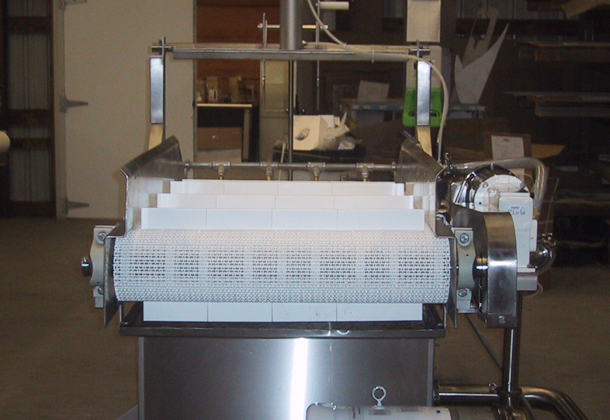 Contact us for help with more recommendations tailored to your needs.